Modern dance theatre work by Patricia Carolin Mai. Premiered at Kampnagel (K1) on 31.01.18. Music composed and performed by Samuel Penderbayne and Benjamin Kövener. Based on impressions and experiences of Tel Aviv from the entire team during an intensive research in the city in 2017. Collaborative dance- and music-performance for which I was the composer and musical director, featuring: Sarah-Lena Brieger, Lucy Wilke, Caio de Azevedo and AbArt Performance. Performed in the 2017 aDevantgarde Festival in Munich by the entrance to the Gasteig Cultural Center in Munich. Dance, choreography and visual production by Paula Hierzi and Divina Hasselmann. The music in the first half was composed in the post-filming state to locked pictures, and the second half at 37" already included the track (by Mortal Unknown Orchestra). 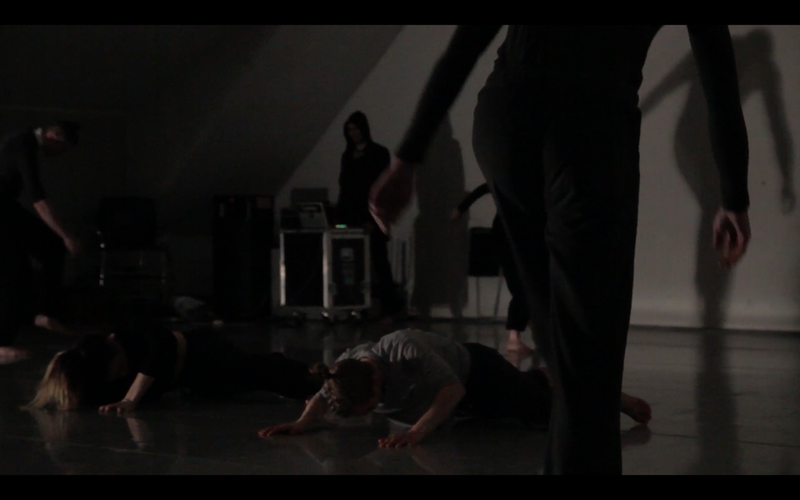 Paula Hierzie dances "Me" from Divina Hasselmann on Vimeo. Dance-theatre by Bui Rouch to a text from himself and Anja Falkvard Simonsen, Tanztendenz. A track and photograph from the production follow, as an example from a larger work containing much more original music. A production with the Nemian Dance Company (Mexico City) and The Breakout Ensemble in the Reaktorhalle, Munich. In the following excerpt there is first a piece by my collaborator Carlos Cipa and then a strongly contrasting variation on it of mine starting at 4'57".